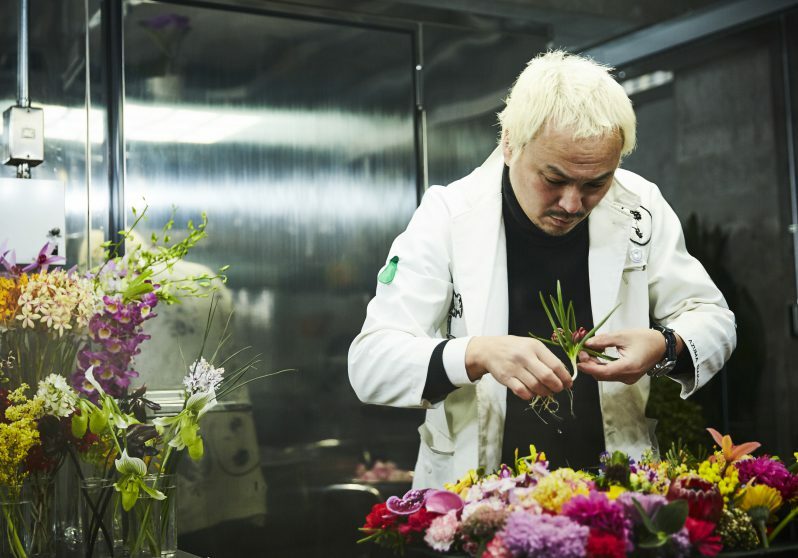 Azuma Makoto has been in the flower business since 2002, and is an owner of the haute-couture floral shop, “JARDINS des FLEURS” in Minami-Aoyama, Tokyo. In addition to the flower shop business, Azuma began to explore the expressive potential of plants in 2005. He invented the genre of the ”Botanical sculpture,” creating works for which he soon received orders also from outside Japan. Following a solo exhibition in New York, his audacious works have been repeatedly shown in Europe. While launching the experimental botanical lab Azuma Makoto Kaju Kenkyujo (AMKK) in 2009, he went on to exhibit his works at art museums, galleries and public spaces in all over the world. In recent years, Azuma has been focusing on projects that explore the connections between human beings and flowers. He continues to pursue the beauty of plants from his distinctive point of view.